Astrodon 6 nm narrowband filters. ROAG dither-guided with CCDAp 2.53. Darks, flats. Processed in CCDStack and Photoshop CS. 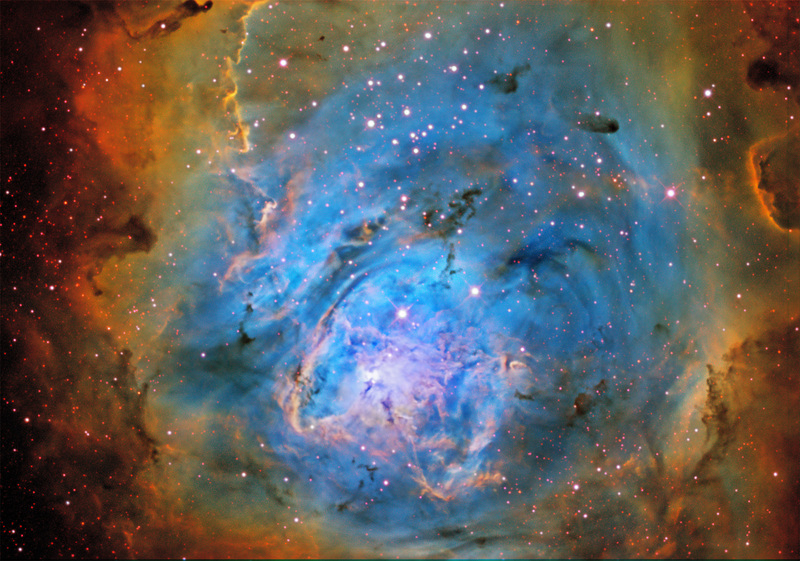 Hubble color pallete – H-a = G; SII = R, OIII = B.